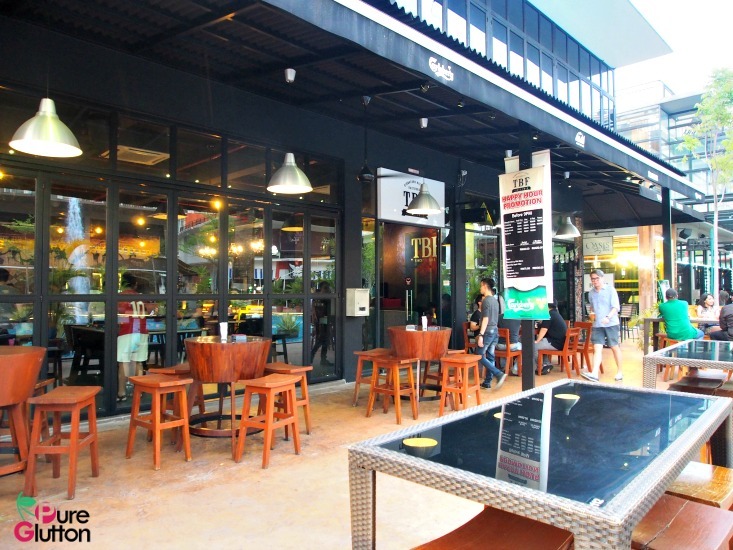 From the same stable of The Burger Factory, TBF Signature Kitchen Gastrobar is a fairly new watering hole occupying a prime location in Oasis Square, Ara Damansara. Directly facing the fountain and water feature, it’s not surprising to see that many of their customers prefer to chill-out at the al fresco part of the gastrobar. 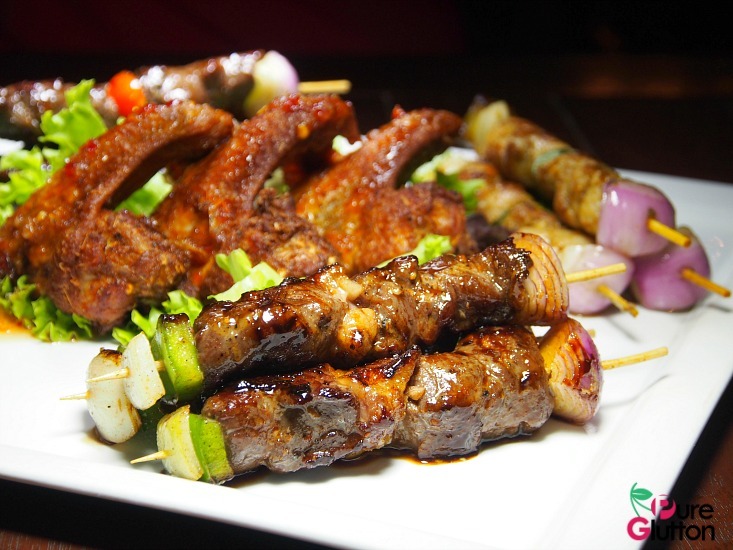 On a warm sultry evening, nothing is more relaxing than to have some cold beers and munch on some of their tasty snacks and tapas. For light bites, we enjoyed their immensely delicious Cheese Spring Rolls (RM16) fresh off the fryer. 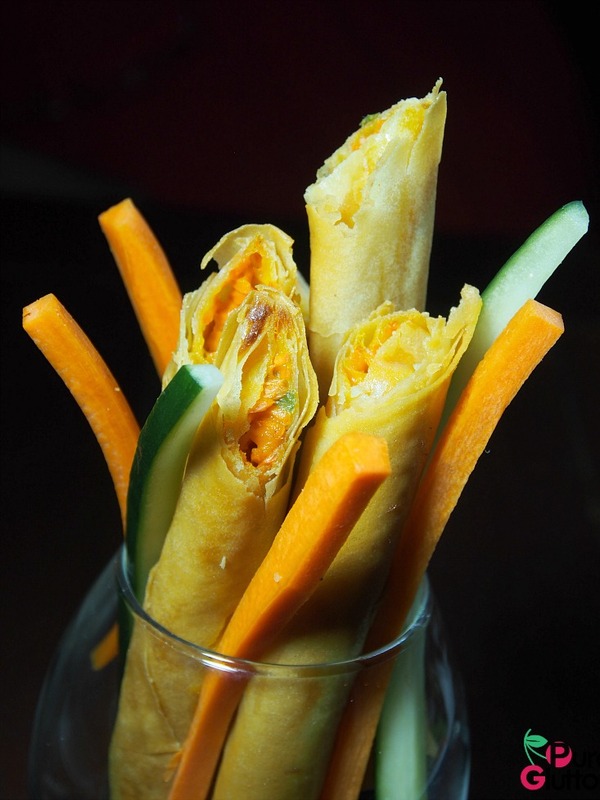 Molten cheese and chopped vegetables rolled within thin crispy popiah skins, deep-fried and super crunchy – they were to die for. 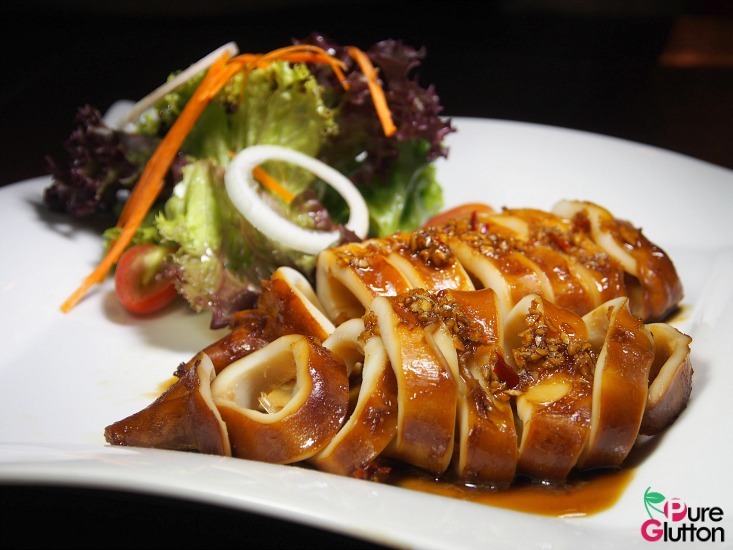 For something a bit heavier, try their perfectly BBQ’ed squids (RM20). Succulent and not chewy at all, those fresh squids were good. 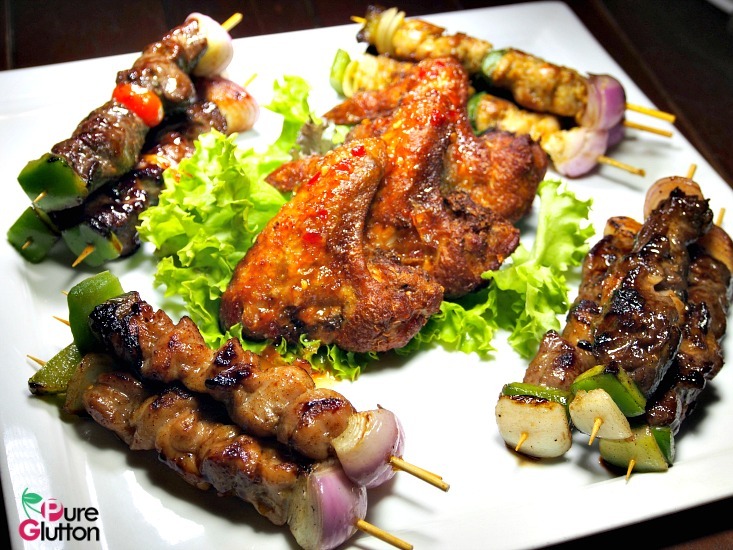 If you have more people in your group, check out their Snack Platter (RM78) with skewers of grilled rosemary beef, minty lamb and tangy spicy Thai-style chicken wings. This is a pretty substantial platter, good for 4 pax. Snack Platter – substantial serving! 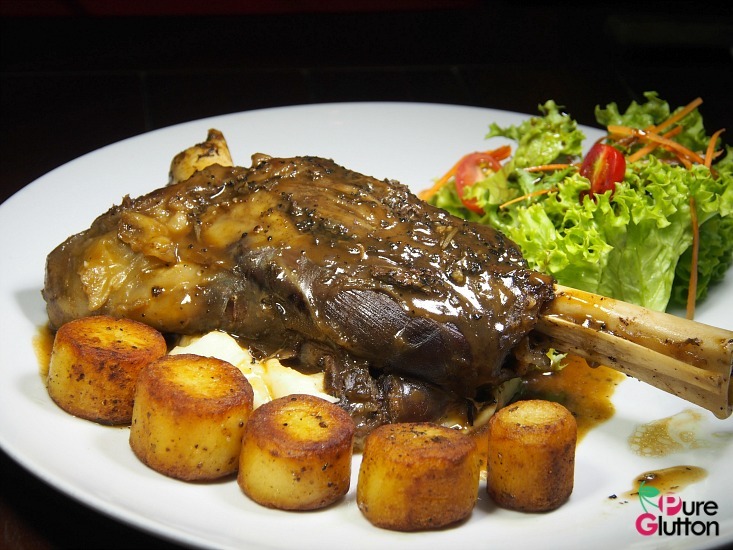 TBF Signature Kitchen Gastrobar serves main dishes as well. 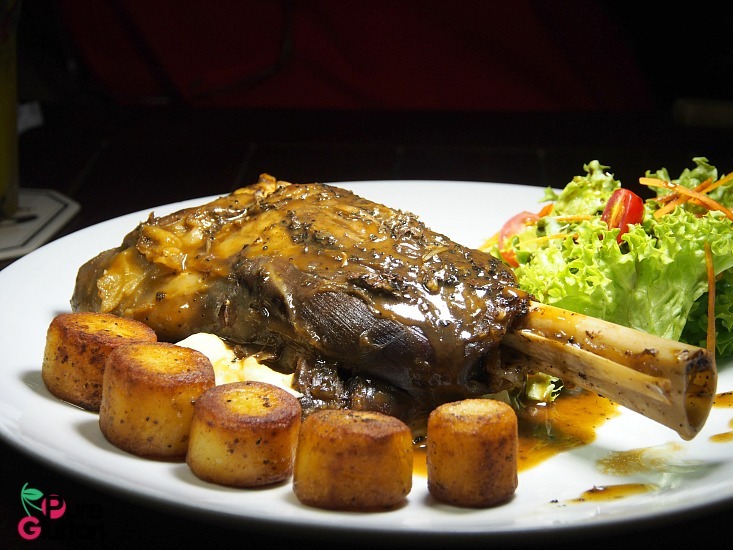 If you are fans of lamb, check out the Braised Lamb Shank (RM58) – it’s one of their signature items. We thought it’d do better with more sauce. 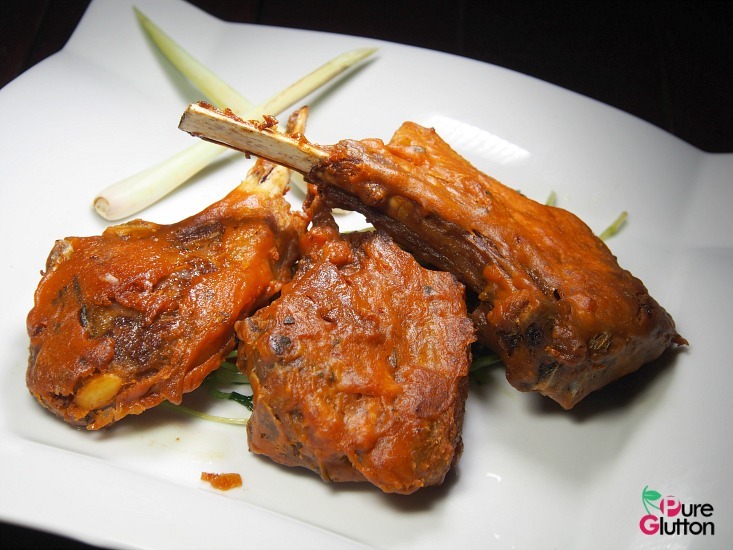 We tried their Fried Lamb Chops with fermented beancurd (RM55) for something different. We found the “nam yue” didn’t quite jive with the lamb chops and the batter covering the chops was also a bit odd. We felt this dish needed some rehashing. Loved those thick tubular cuts of potatoes! 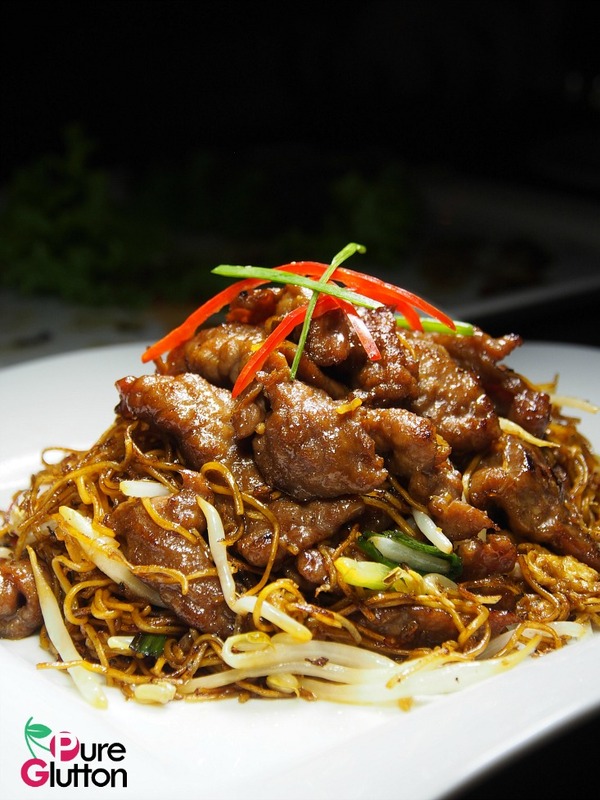 Still feeling peckish, we had a plate of their Stir-fried Noodles with Beef (RM16) and found it really satisfying. The noodles were not overly oily and those beef slices were smooth and tender. This is something we’d return for! 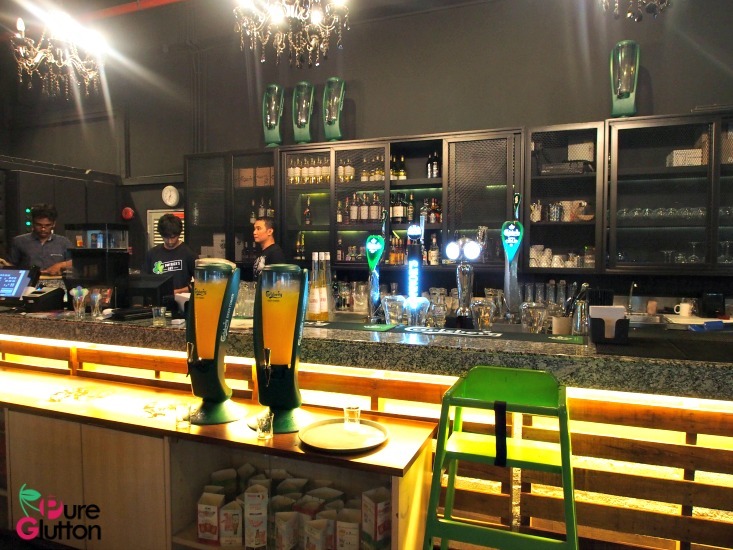 The drinks and alcohol menu is very extensive and coupled with a comprehensive selection of food (mains, pasta, local favourites etc), TBF Signature Kitchen Gastrobar is good for some family meals as well as a place to hangout. 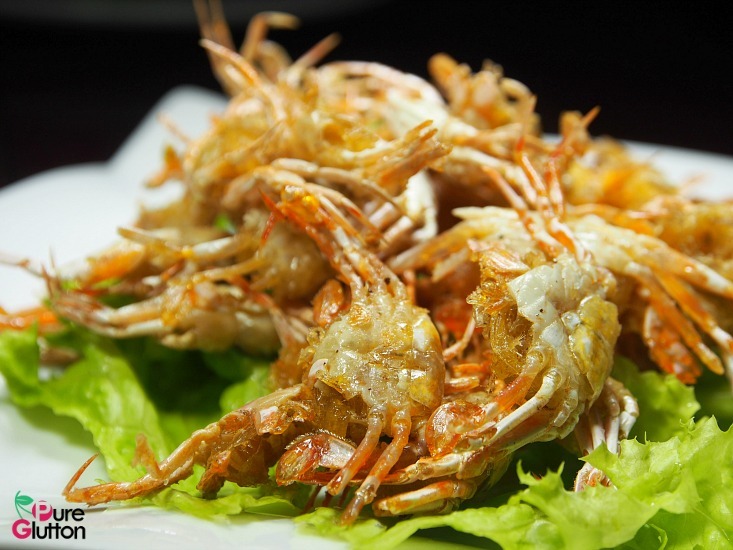 Crunchy Deep-fried Baby Crabs – perfect with your beers and spirits! 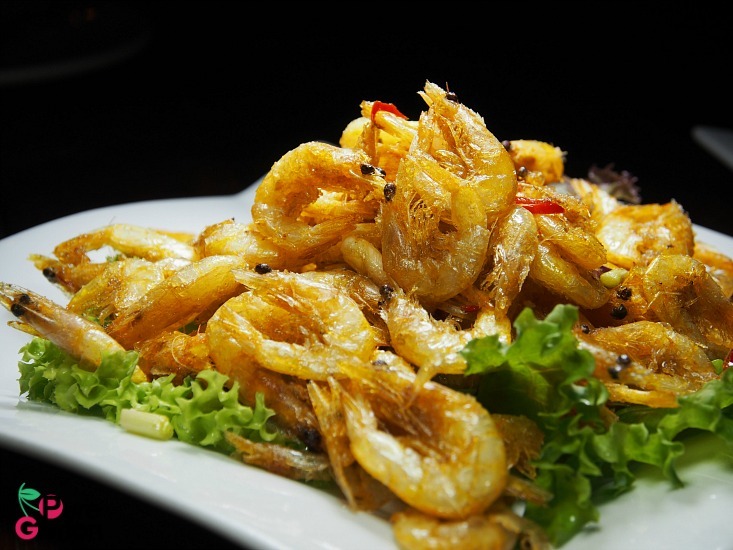 Deep-fried Baby Shrimps – incredibly addictive! This is really run by ppl from Signature Kitchen? Hehe, no lah…it’s run by the people from TBF (The Burger Factory)!